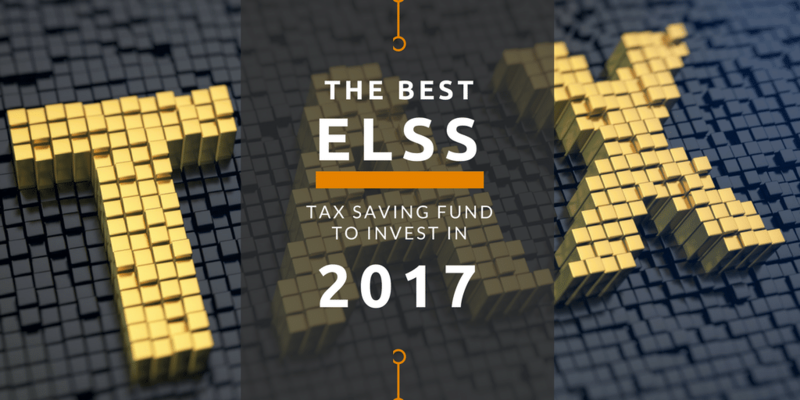 The process I prefer to select the best ELSS tax saving fund to invest in 2017 is to select the best fund among the top performing mutual funds. So first let us see the top-performing mutual funds for the past 1 year. We will use ValueResearchOnline’s 4 and 5 star rated ELSS funds. What is 4 and 5 Star VRO’s Rating? The funds at ValueResearchOnline are rated based on relative performance of the fund in the same category compared to its peer and adjusted for risk and return. The Value Research Fund Rating is based on subtracting the fund’s Risk Score from its Return Score and then the top 10% funds get 5 star and next 22.5% gets 4 star. You can read about the complete fund rating process at VRO here but in short, the highest rated funds has least risk and best return. Investing in any of the top funds may not be enough because just 1-year return varies among the top fund from under 5% to above 18%. So we have to narrow down to find the best-performing fund among the top funds and look at which funds that can perform better in the future. The return we see in ValueResearchOnline is the performance of the past and we have to find a fund that can outperform in the future. My view is midcap funds will outperform the large-cap funds in the future and so we have to identify which funds among the top funds invest more in mid-cap companies. So let us see the benchmark for each of the top funds. If we try to understand the benchmark in very simple terms. Nifty 500 – Fund can invest in 500 companies of Nifty 500 benchmark. S&P BSE 200 – Benchmark is formed by the top 200 BSE companies and fund can invest in any of those 200 companies from the benchmark. S&P BSE 100 – Benchmark is formed by the top 100 BSE companies and fund can invest in any of those 100 companies from the benchmark. S&P BSE Sensex – Sensex is the benchmark for the fund which means 30 companies listed in Sensex are the only option for the fund to invest in. Now the 1 year return of this fund vary from 11% to above 18% but we can look at 3 and 5 years return and see if we can determine the best fund to invest in 2017. DSP BlackRock Tax Saver Fund is an outperformer for the last 5 years and is the best ELSS tax saving fund for me in 2017. This is not an endorsement that you should invest only in DSP BlackRock Tax Saver Fund. 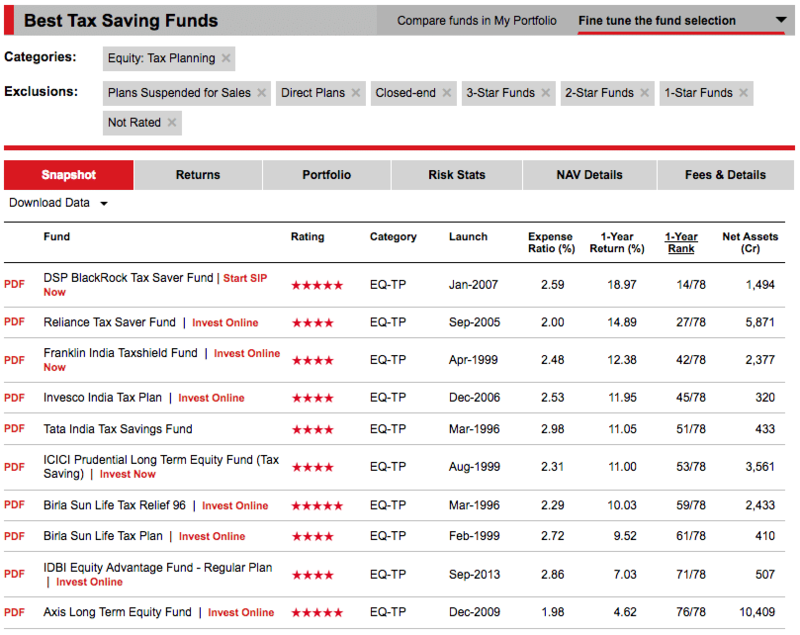 I have shared the complete process I use to find the best performing fund but you can apply any other criteria (3 stars rated or best 5 years return or more than a certain amount of asset under management) to select any other fund of your choice. Just make sure you aren’t selecting the fund because you like the name of the fund or someone has recommended it to you.